Dr. James Spensley received the Distinguished Volunteer Clinical Faculty Award in 2001 and was recognized as a Distinguished Fellow of the American Psychiatric Association. FAIR OAKS, CA, January 11, 2019 — Marquis Who's Who, the world's premier publisher of biographical profiles, is proud to honor Dr. James Spensley as a Top Doctor. An accomplished listee, Dr. Spensley celebrates many years' experience in his professional network, and has been noted for achievements, leadership qualities, and the credentials and successes he has accrued in his field. As in all Marquis Who's Who biographical volumes, individuals profiled are selected on the basis of current reference value. Factors such as position, noteworthy accomplishments, visibility, and prominence in a field are all taken into account during the selection process. With over 50 years of professional experience and excellence in the medical profession as both an educator and a practicing psychiatrist, Dr. James Spensley is currently an associate clinical professor at the University of California, Davis School of Medicine, a position he has held for more than 30 years. He has operated as a private practice psychiatrist for decades as well, and has contributed invaluable research in his field, authoring or co-authoring a number of articles and research papers. Born in Detroit, Michigan in 1938 to parents Herbert and Ruth Spensley, he began on his journey to becoming a doctor at the University of Michigan, Ann Arbor in 1956. After years of hard work, he received a Medical Doctorate in 1963, and began his professional career. In 1964, he began work as a private practice psychiatrist, and he is still practicing today, more than 50 years after he began. The year 1964 is also when his service in the United States Army Reserve began. That year, he became a Captain, and in 1967 he was promoted to Lieutenant. He retired from military service in 1969. After his military service ended, he began what would become a long tenure at the University of California, Davis School of Medicine. He started teaching there as a faculty member, and in 1973 was appointed an assistant professor in residence. In 1976 he became an associate professor, and achieved his current status as an associate clinical professor in 1982. 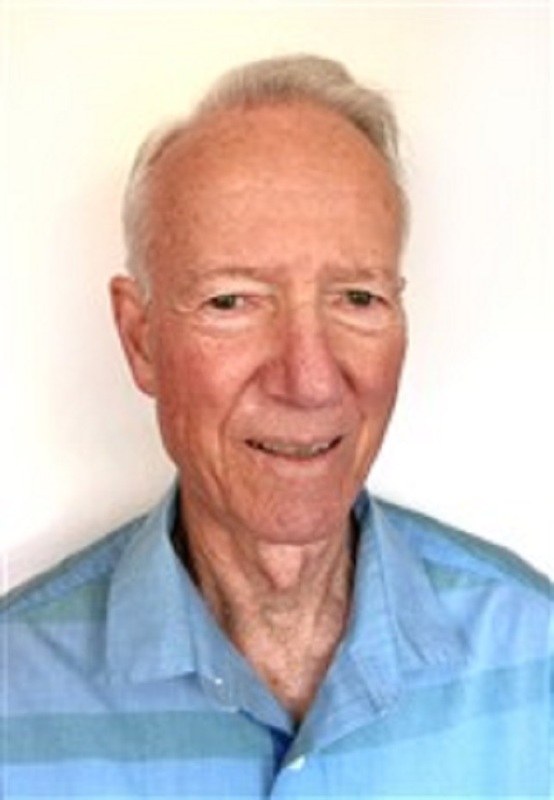 Dr. Spensley has additionally taught as an adjunct professor at the Pacific Graduate School of Psychology from 1981 to 1986, and he spent many years as a consultant to Westminster Counseling, working with the organization from 1970 to 1999. He has also served on a marriage tribunal from 1980 to 1995. Dr. Spensley has contributed a number of articles and research papers to medical journals over the years. He helped to advance the state of psychiatric medicine with such publications as “Doxepin: A Useful Adjunct in the Treatment of Heroin Addicts in a Methadone Program,” which looked at the viability of a doxepin as an adjunct treatment for heroin addicts undergoing methadone treatment. The paper was published in the International Journal of the Addictions in February, 1976. Other publications by Dr. Spensley include “The adolescent transvestite on a psychiatric service: Family patterns,” which was published in the Archives of Sexual Behavior in 1971, and “The Support Group in Psychiatric Residency: How Can We Best Help Our Residents?” which was published in the Journal of Psychiatric Education in 1983. In addition to the care Dr. Spensley has provided as a psychiatrist, he has always taken it upon himself to give back to the community in other ways as well. He has been a supporter of Habitat for Humanity for several years, and since 1982 he has been a supporting member of Physicians for Social Responsibility, which is a physician-led organization dedicated to combating issues such as global warming, nuclear proliferation, and environmental degradation. He is also a supporting member of Bread for the World, and for many years was active with Catholic Community Services of Sacramento, California. Throughout his long and distinguished career in medicine, Dr. Spensley has been honored recognized multiple times. In 2001 he received the Distinguished Volunteer Clinical Faculty Award, and was recognized as a Distinguished Fellow of the American Psychiatric Association. He is also affiliated with organizations such as the Central California Psychiatric Society, the California Medical Association, and Sigma Xi: The Scientific Research Honor Society. He and his wife Jeanette have four children, Patrick, Michelle, Andrea, and Chris, as well as nine grandchildren. In his spare time, Dr. Spensley enjoys tennis, skiing, and woodworking.